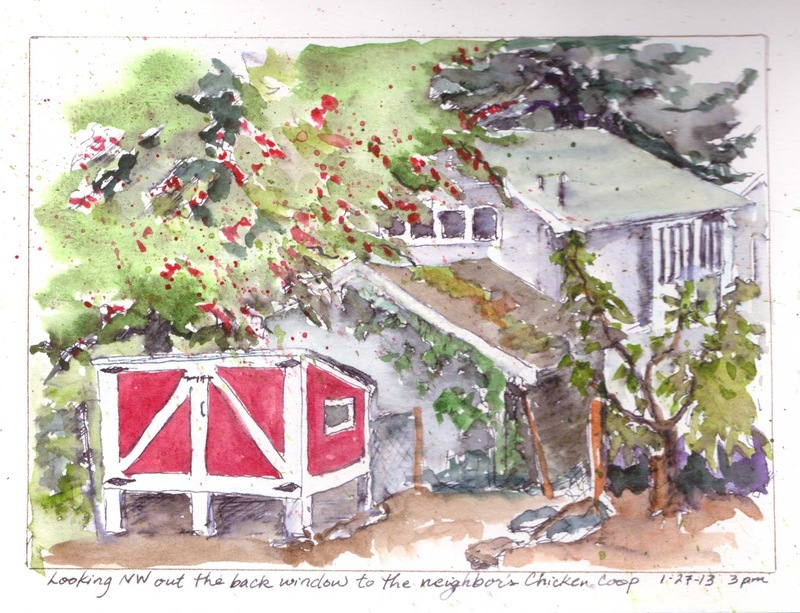 These two sketches are part of the watercolor challenge I have given myself, to sketch the same scene (or from the same viewpoint) for 30 days. 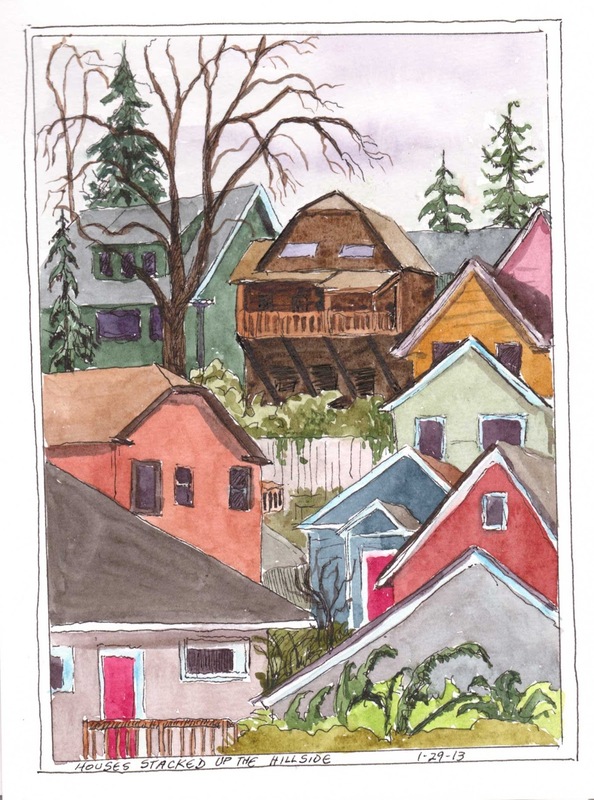 Sometimes I have used such an exercise to spark my creativity, or to practice and play with technique, or simply as a way to make sure I do a sketch or some type of art each day. I believe, as so many have said, that to be a better sketcher, or artist, one must sketch more, draw more, make art every day. Seattle Urban Sketchers has been so good for me because it gets me out there, doing art! Plus, I go to places I would never have gone to on my own, much less think to take my supplies so I could sketch!! Our sketch-crawl at the EMP is one such example, as is the other sketches in today's blog, which are from the Museum of Flight. 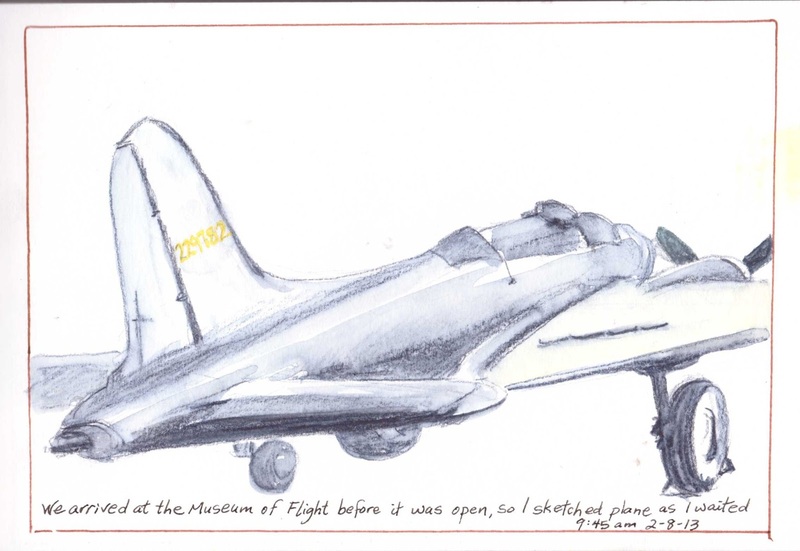 On my own, it would never have occurred to me to go sketching at the Museum of Flight! In my past art-making, I would always head out to the country, to sketch from nature! 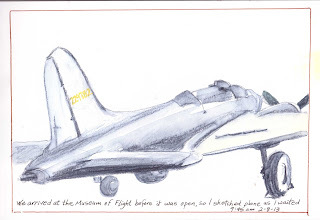 Today, Friday the 8th, I joined a few Urban Sketchers at the Museum of Flight. We were Kate's guests, since she volunteers there. What a huge, varied, and amazing place!! We only scratched the surface in subject matter. And I wandered too much, so I didn't have a lot of time. But finally I found myself in the WWI display, and this "Sopwith Triplane" captured my fancy. A rather challenging viewpoint, for sure! Since we arrived early before the Museum opened, we pulled out our sketching stuff and sat and froze while we tried to sketch. 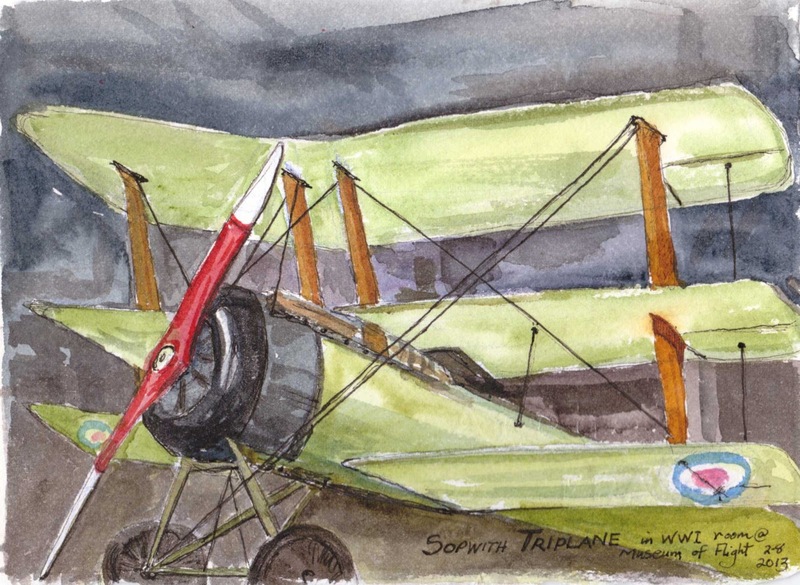 I chose to keep it simple with a Derwent Graphtint pencil and subsequent wash with my water-brush. 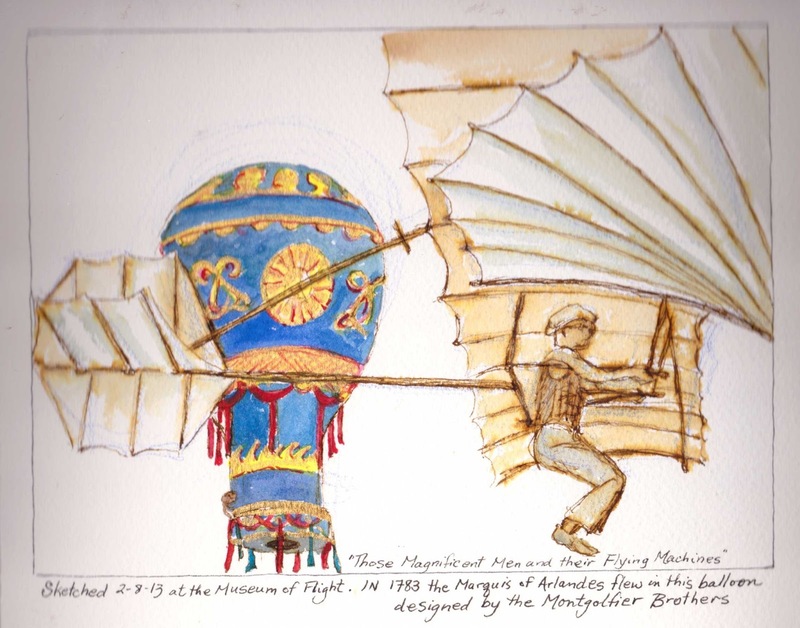 After lunch at the Museum Cafe, we had a bit of time left, so I quickly found an interesting viewpoint in which to sketch the beautiful hot air balloon, thanks to Tina who pointed it out when we first arrived at the Museum of Flight. This is a really nice set of sketches. I love that you challenge yourself to a drawing from the same viewing spot. I'm going to have to try that. Have to find a good spot first.